Elie Wiesel has said under oath that he has one, and that it is number A7713. Q. And is this book Night that you wrote a true account of your experience during World War II? A. It is a true account. Every word in it is true. Q. And what was your – what day were you born in Sighet, Romania? Q. And what [number] was tattooed on your left arm? A. My number was A7713. My father’s number was 7712. Source: Superior Court of California. County of San Francisco. Before the Honorable Robert Dondero, Judge Presiding, Department Number 23. People of the State of California, Plaintiff, vs. Eric Hunt, Defendant. Testimony of Elie Wiesel, July 8, 2008, p. 7 and 13. By Meredith Moss, Staff Writer Updated 7:56 AM Friday, March 26, 2010 . Contact Moss at (937) 225-2440 or [email protected]. 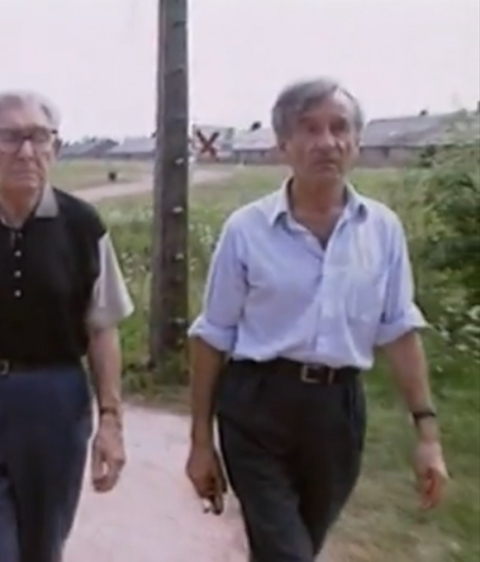 Speech delivered by Elie Wiesel in 1995 at ceremony in Poland to mark the 50th Anniversary of the Auschwitz liberation. Source: KLRN, San Antonio. 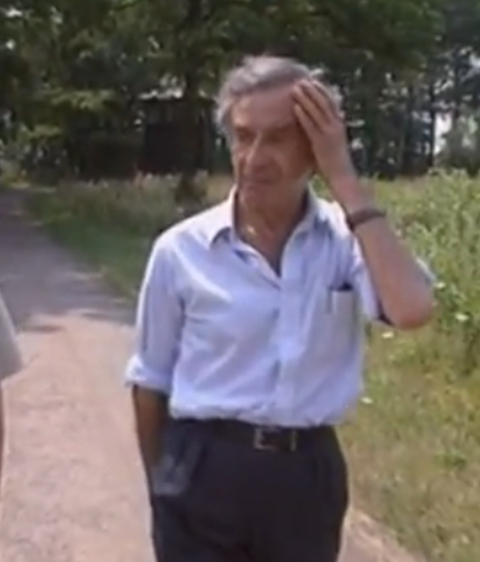 “Elie Wiesel, First Person Singular” A PBS Production. 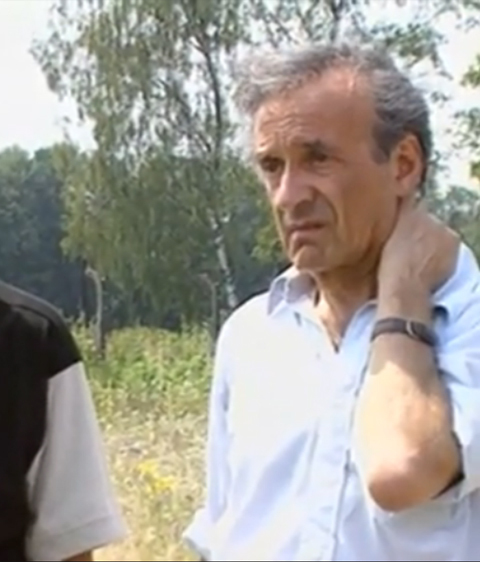 But in the 1996 full-length documentary film “Elie Wiesel Goes Home,” we see his bare arm, but where is the tattoo? http://www.youtube.com/watch#!v=p5zpNNUAjGI&feature=related – This film, which was available on Youtube in 2010, no longer is. Sorry. That is definitely a sign they are hiding these damning pictures wherever they can. You can still buy the documentary film at Amazon. Thus the question we ask: Where’s the tattoo?